Courtesy photo. 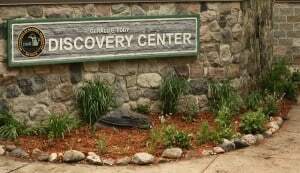 The Discovery Center. Rosenthal will educate and astound you with his combination of live animals and magic. Participants can view some of the exotic animals that he cares for in his sanctuary and learn how they survive in their native lands around the world. Eddy Discovery Center, 17030 Bush Road in Sylvan Township. Advance registration requested at 734-475-3170.